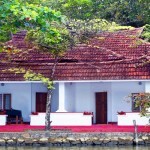 Kovilakam Lake Side Villa Hotel in Alleppey is lined with intricate and perfectly carved woodwork, the typical nasrani-styled "Tharavadu" overlooks a 9 km stretch of Vembanad dotted with houseboats and country canoes. 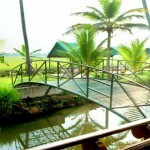 All the rooms are provided with traditional Kerala furniture & are bath attached. 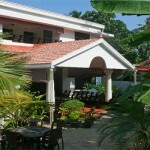 The Hotel offers some luxurious facilities and amenities at great rates. Enjoying a 70 metre backwater frontage with a sprawling lawn spread over half an acre of land lies the tharavdu, overlooking the famed Vembanad. This main building houses independent air conditioned Dbl rooms. The Tharavdu is exclusive in having a common living room and private dining area for guests. A traditionally styled cottage stands closer to the lake and has independent AC rooms with openair bathrooms. Facilities – Room Service, Car parking facilities , any cultural performances arranged on prior request , Arranged pickups and drop, Games & Recreational Activities , Ayurvedic rejuvenating massages on prior request. 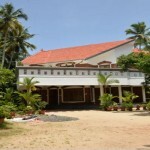 Multicuisine Restaurant– A Multi-cuisine traditional restaurant serving Kerala dishes. Chinese, Continental & North Indian dishes.